F. John LaIacona, Jr., Pres. 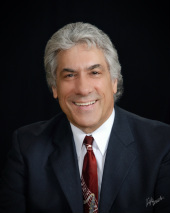 Rocky VII Business Checks, Inc.
F. John LaIacona, Jr., has over 20 years of experience in the business checks industry. John’s goal is clearly marked to continue to accommodate accountants, bankers and their clients. Personalized service to the end user is his promise in setting the standard for what ultimately defines added value. John works closely with CPAs to provide their clients with computer checks to match their financial software. Some clients of Rocky VII Business Checks, Inc. include: The Better Business Bureau, Advanced Practice Management, Toukan & Company, Carlile Patchen & Murphy, LLP, Fusco, Mackey, Matthews & Gill, LLP, Adoption Circle and many more. In addition to a large number of business checks customers, the firm also provides merchant card services to Saia & Piatt, Inc. Warner and Harper, CPAs, The Central Ohio Diabetes Association and many others. John is also the founder of The Accountant Information Market, a business networking organization with three chapters in Greater Columbus. Members include: Financial Planners, Bankers, Attorneys, Business Owners, Sales Executives, CPAs and other professionals. John is a member of the Westerville Chamber of Commerce and is active in his church and community. John continues to play sax with the Missing Link Jazz Ensemble and other local blues and jazz bands.